The Tiny Inconspicuous Handcuff Key is intended for use by trained law enforcement, military, and security professionals only. However, TIHK will sell a pair of them to anyone with a credit card and $13. Because that is the beauty of the capitalist spirit and the Land of the Free. TIHK slides unnoticeably along a back belt loop, pants pocket, shirt tag, sock band, or right above your upper molars between your cheek and gums. 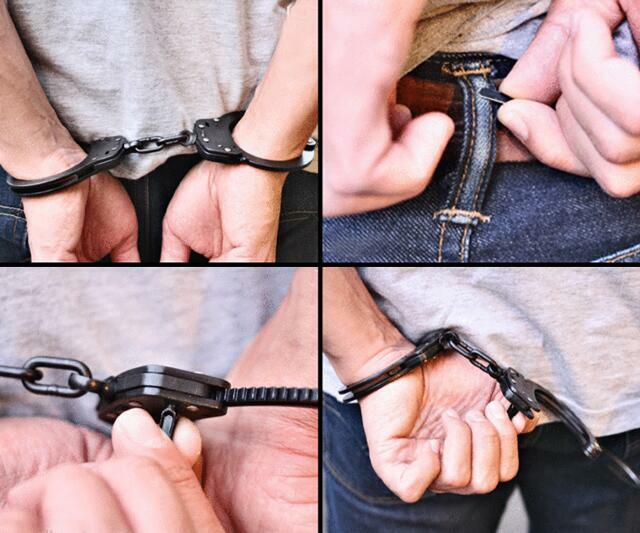 This makes it easy to carry everywhere, all the time, even on days you don't figure you'll get handcuffed. Obviously the TIHK should be a trusty companion on any night carrying the possibility of concluding at the residence of a lady you just met. I mean, remember when that guy who just wanted to get laid ended up cuffed to a bedpost while the chick made off with his wallet and lucky Buffalo nickel in...half of the romantic comedies and network TV series ever made. 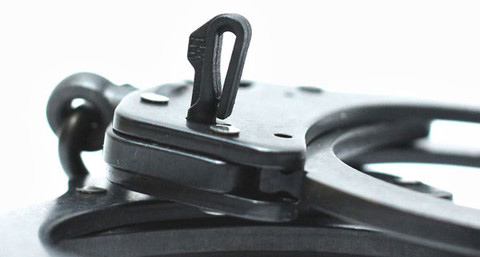 Tiny Inconspicuous Handcuff Keys are fabricated from reinforced polymer and cut to fit all standard Peerless handcuffs. They measure 0.75" x 0.16" x 0.3". Made in the USA. Naturally.